Small Business Saturday is every year the Saturday following Thanksgiving day in the United States. It began in 2010 as an initiative of American Express to encourage people to shop local during the holiday season. Over 80 million Americans have participated in Small Business Saturday lending to local economic growth. For most small-scale entrepreneurs, Small Business Saturday is the most important day of the season because it gives them a platform to launch new ideas, promote their strengths and interact closely with customers. Businesses and shoppers can get involved in Small Business Saturday and I encourage you to extend it beyond retail. It’s a mindset. Think local. Shop local. Do business local. Local products can create a strong bond between an individual and a particular community. It allows independent businesses to thrive in the diversity created by the uniqueness of communities. With diversity, a small business can stay afloat in a competitive environment characterized by intensive marketing campaigns run by established businesses. Small Business Saturday encourages healthy competition and innovation in a local business environment. The day provides small businesses with an opportunity to show the world what they offer and stand out from the crowd. Small businesses often flex their strengths on this day to compete at high level through innovation. 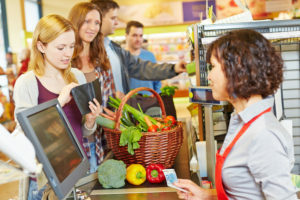 Having many small businesses that are striving to be unique and innovative can create a healthy marketplace and enhance the quality of customer service. Business owners should prepare early for this great event. When you prepare well, you will have the opportunity to cash in and sustain long-time growth on your business. Here are few tips on how you can prepare for Small Business Saturday. Prepare your website to tap into the huge potential associated with online shopping or marketing of your services. With a strong online presence, you’ll have an advantage over others. According to statistics, online shopping hit the highest rates last year. Update your inventory and display available promotions and popular items or services. An exceptional customer experience should be a top priority. Most shoppers care about their shopping experience like they do about the discounts and deals. Create a customer service mechanism that allows you to connect with clients on a personal level. A memorable experience creates a return customer beyond the one day. Social media can help you greatly if your use it well. You can benefit from the large fan base of the Small Business Saturday page, which has more than one million followers on Facebook. Link the page with the products you have on offer. You can also use Small Business Saturday hashtags on Twitter and Instagram to expose your brand. Don’t be shy. Reach out to your customers directly by email and social to promote your holiday specials and give great discounts and deals. Identify your customers and divide them based on their locations and preferences to make the most out of your communications. Whether you’re a customer or a business, you can play a role in supporting Small Business Saturday. And, you don’t have to limit it to a day. Support small businesses year round. 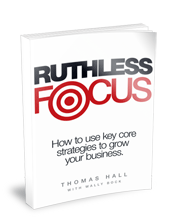 You can learn how once upon a time small businesses such as Chico Women’s Clothing, Staples and Home Depot succeeded with growth strategies in my book Ruthless Focus.